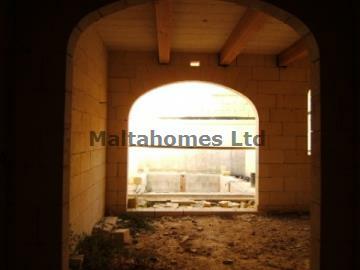 Currently under construction is a rustic House of Character in the village of Xewkija, which is the oldest village in Gozo, being just a short drive from the Ferry Port of Mgarr and also Victoria, the Capital City. Xewkija enjoys a tranquil setting with a population of just over 3,100 approximately. The property is being sold in shell form having a pool and terrace area, whereupon one can enjoy the long hot summer days and nights. Furthermore a 1 car garage is included in the price. We feel in given the attributes of this property together with its asking price that it is good value for money in terms of comparables and would offer a secure sound investment for capital return or permanent residency or will return lucrative rental income in given the rental demand for property with pools in Gozo.